Visitors are the most valuable asset to any blog. One way in which you can increase visitor count is by identifying the type of content that they favor and by providing it to them on a regular basis. However, how do we know what type of content they like? Simple—just ask them. Those small buttons that you see on many websites—thumbs, emoticons, likes, upvotes—can help you find out what visitors are looking for. There are many WordPress voting plugins that can help you gather feedback based on visitor reaction. You can use them generously on your website to gauge and understand what visitors like. Then, you can steer your website in that direction. Sure, analytics can help you with data, but feedback based on votes can help you understand the reasons behind the patterns and trends. With plugins, you can collect the data rather efficiently without being overly intrusive to the reader. When you put it all together, the emerging picture will help you provide the kind of content that keeps bringing the reader back to your webpages. Some site admins prefer using standard contact forms to collect feedback. While that may actually serve your purpose, a dedicated plugin can persuade a reader to leave feedback more effectively. Not many readers will take the trouble to open a form and fill in feedback. At the same time, they may not hesitate to click a like button. A voting plugin can make data collation and presentation standard and easy. A good rating is particularly important for businesses like restaurants, salons, or e-commerce stores. If you’re running a review website, these WordPress review themes may interest you. You can ask your readers to leave feedback in many ways—rate, vote, thumbs, like button, emoticons, and more. Let’s see what the WordPress voting plugins can do for us. There are numerous quality free plugins that you can enable on your site to persuade readers to leave feedback. Many of them have pro versions that you can upgrade to should you feel the need for additional features later. WP-PostRatings offers many ways to display votes, such as stars, thumbs up/down, ticks/crosses, hearts, and numbers. Right at the start, though, you should know that this plugin needs a bit of technical configuration to get it to work on your site. You can select the rating images you want for display on the settings page of the plugin. Using code, you can set the rating option to show up on all posts or selectively on some. You can view the ratings from the Manage Ratings option. Using a filter, it’s possible to change the image type from GIF to PNG. The plugin has the ability to show the highest rated posts, most rated posts, lowest rating, and highest rating. These stats can display in a widget in the sidebar. You can drag the widget to any widget area and customize it to show the title, the number of posts, and more. The plugin is regularly updated and enjoys a 100,000+ active installs. WP-Polls can help you add a polling module to your webpages. It’s powered by AJAX and is easy to install. The plugin is highly customizable, offering tons of options to get it to work the way you want. Participants get to choose from multiple answers. You can display or embed random or specific polls and show poll results using code snippets. The plugin allows you to customize using templates or CSS. 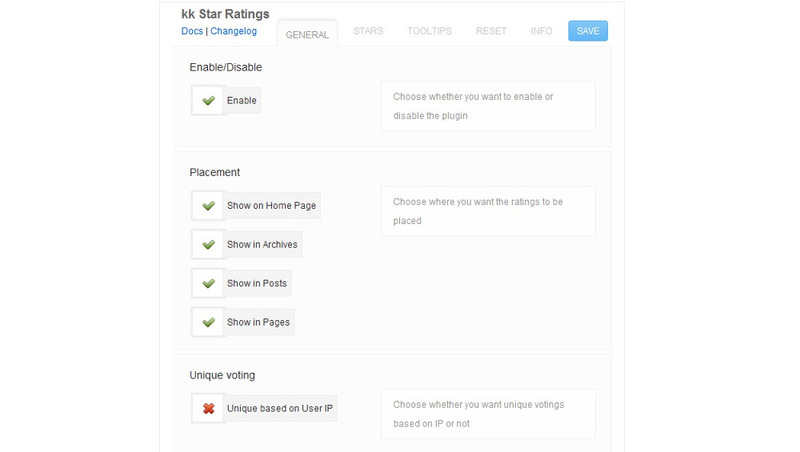 kk Star Ratings includes a widget that you can place in your sidebar to highlight your most popular posts. From the plugin’s settings page, you can choose to display the ratings in the homepage, archives, posts, or pages. You can also select the placement of the ratings within the pages. A ratings column is available on your admin screen to view the ratings. The default number of stars is five, but you can change that as well and restrict the number of votes from a unique IP. Besides, you can add images and attach tooltips that show up on hover. There are two features that you’re sure to like in this plugin. One is the Google Rich Snippets, which means that the ratings are likely to show up in a Google search result. The second is a visual button in the editor that helps you add ratings without having to mess with code. Poll, Survey, Quiz, SlideShow & Form Builder allows you to run both simple and advanced polls. You can conduct an online quiz, take surveys, create forms using the form builder, and post polls. Social media integration is allowed, and users can log in with their social profiles. The polls and surveys can be interactive on account of the easy-to-use interface and many design elements. The plugin offers a number of customization options, integrates with social media, and is responsive. It supports 42 languages and is ready for translation. With YOP Poll, it’s possible to conduct any number of polls and to keep track of all polls, answers, and results. Every poll has a unique ID, so it’s easier to manage them, and you can even share the results with participants. There’s a lot you can do from within your WordPress dashboard. Allow multiple answers, sort poll information in the manner you want, manage results, and choose which results to display and which to retain as private. You can schedule posts to run concurrently or one after another. You can edit, clone, or delete existing polls. The plugin maintains proper records, so you have access to older information at any time. Besides, you can insist on voting permissions like registration for guests or banning specific users. Custom fields are available to customize your polls and to edit even existing polls. Result display options include vertical and horizontal displays, but you can customize the result bar in the HTML or visual mode. If you would like to run a photo contest on your website, you can do it easily with WP Voting Contest. This WordPress voting plugin is easy for use, yet full of powerful features. Whether you want to use your own images and let others decide which the winner is for a future project or you would like to launch a user-based contest, either way, WP Voting Contest wins. The tool makes it super effortless to start and relaunch the competition as many time as you want. On top of that, you can have a lot of different contest going on at the same time. Once you install and activate the tool, WP Voting Contest creates two buttons. One is a Vote Now button and the other shows how many votes an image received. To some extent, it is a pretty simple approach, but it surely does the trick. Why complicate if you do not have to? WP Poll Survey & Voting System is a versatile WordPress plugin with a wide variety of options. You can now easily hammer out different poll surveys and even allow users to vote. It is an all-in-one tool that lets you add a new addition to your website by simply copying and pasting a dedicated shortcode. Yes, you can place it anywhere on your pages and blog posts. Get creative and keep your user engagement at the highest degree. WP Poll Survey & Voting System gives you a neat list and grid design that you can use for all sorts of purposes. From political, restaurant, travel, movie and music to name a few, folks can vote and participate in all sorts of different activities. With the advanced, yet user-friendly, admin panel, it will be a breeze creating new polls which you can tailor to your project precisely. Tribulant Gallery Voting is – hence the name – an exclusive WordPress voting plugin that works with images best. It creates a neat button which you can fine-tune and use for votes or likes. If the former is what you are after, you can easily create a simple contest on your page and let your visitors decide which pic is the winner. And inserting this new button to your image galleries is nothing complicated. First, install and activate Tribulant Gallery Voting. From then on, the process almost needs no additional work. The plugin adds a vote/like button and a counter below each photo of your WordPress image gallery. With the gallery shortcode, you can then insert this new votable photo gallery to your website. If you need to see it in action, both front- and back-end demos are available. To add a poll to any kind of content, you should try the Rating-Widget. The star review system of this plugin allows you to embed star and thumb ratings in posts, pages, and comments. The plugin does not need any configuration, and you can create and manage ratings from your WordPress dashboard. You can set up as many ratings as you want and place them wherever you like. A sidebar widget displays the top-rated post on your blog. The free version of this plugin is good for one million page views, and comes with branding. To remove branding, you’ll need to purchase premium plans. These plans offer a secure connection to prevent fraud, Google rich snippets, email support, and identification of visitors by IP. Voting can be based on multiple criteria, and the plugin integrates with WPML and Polylang. WTI Like Post adds the simple functionality of placing a Thumbs Up or Thumbs Down option to any post or page. At the same time, it lets you choose between a variety of settings, such as showing a list of most liked post or page. Once cast, participants can change their votes as well. At any time, it’s possible to restore all the settings to default. Two widgets are available—one to show the Most Liked Posts and the other to show Recently Liked Posts. The plugin includes three voting styles with images and allows you to hide the +/- symbols before the thumbs. You can exclude select posts from this plugin’s action, as well as bar guests from voting. The pro plugin allows reward points for voting, display of user avatars against the voters, and BuddyPress activity integration. Three action hooks allow you to send a message to participants who vote successfully and to customize the message that appears on the page load and Ajax call. The Like/Unlike counts of individual posts is visible on the admin screen. If you enable the option of allowing only logged-in users to vote, you can see how each member has voted. There’s an option to highlight the chosen thumb icon on click after successful voting to redirect the user. YASR offers a powerful star rating system for WordPress that will help users rate the content on your site. It allows you to make your own review (vote from a reviewer) or lets your visitors vote. Both review scores and visitor ratings are likely to be indexed by Google on account of rich snippets. You can also create multiple sets of stars based on multiple criteria for a page or post. Installing the plugin does get a bit technical, but there are detailed instructions in the WordPress plugin repository. A metabox appears upon installation of the plugin, and you can fill it up to place the overall review rating at the beginning or at the end of the post. Using a shortcode in the visual editor, you can place it anywhere. For visitor votes, you can place a shortcode wherever you want the stars to appear. While the plugin is free, YASR does offer premium extensions for user reviews, custom rankings, and customization options for the stars. With clean designs and neat styles, WP ULike attempts to fulfill all your needs in a rating system. It supports BuddyPress and bbPress and allows users to record their likes on beautiful Ajax buttons for multiple content types like posts, forum topics and replies, comments, and activity updates. There is support for Google Rich Snippets, reward points for votes, and statistical tools. Users do not have to register to Like, and the Ajax feature enables updating without reloading the page. You need to simply install the plugin and activate “automatic display” in the plugin configuration panel. WP ULike has four auto options for posts, comments, BuddyPress activities, and bbPress topics. It’s possible to customize the Like/Unlike button with custom fields and change colors with color picker settings. The plugin supports shortcodes, different logging methods, custom templates, a Likes log, RTL, advanced widgets, and a simple box form for a user avatar. Polldaddy Polls and Ratings from Automattic allows you to totally manage polls from within your WordPress dashboard. The polls are fully customizable. You can set up your own custom poll and embed the polls on other websites, too. With Like Button Rating, you can add the voting feature to WordPress posts and pages, custom post types, WooCommerce products, BuddyPress activities, and bbPress posts. The most popular content can display in a widget. Universal Star Rating uses two shortcodes to embed the classic star rating system. It’s an easy-to-install and use plugin and does not need any configuration. Multi Rating is a good fit, especially if you want to rate based on multiple criteria. Users can rate by clicking on a star, selecting from a drop-down, or choosing radio buttons. A pro version is also available. Thumbs Rating is a simple and light plugin that allows you to add a thumbs up or down rating. The plugin is lean by design with no fancy effects. Simple Rating allows adjustment of scale of rating and can turn the vote count on and off. The output can be in four shapes and in five colors to fit any theme. Feelback Reactions is for you if you want to allow users to record reactions by clicking on emoticons. Five emoticons are available, and it’s possible to recommend appropriate content depending on the mood of the users. The choice of free plugins is really huge when it comes to WordPress voting plugins. However, if you’re still looking for a premium plugin, here are a few of them. 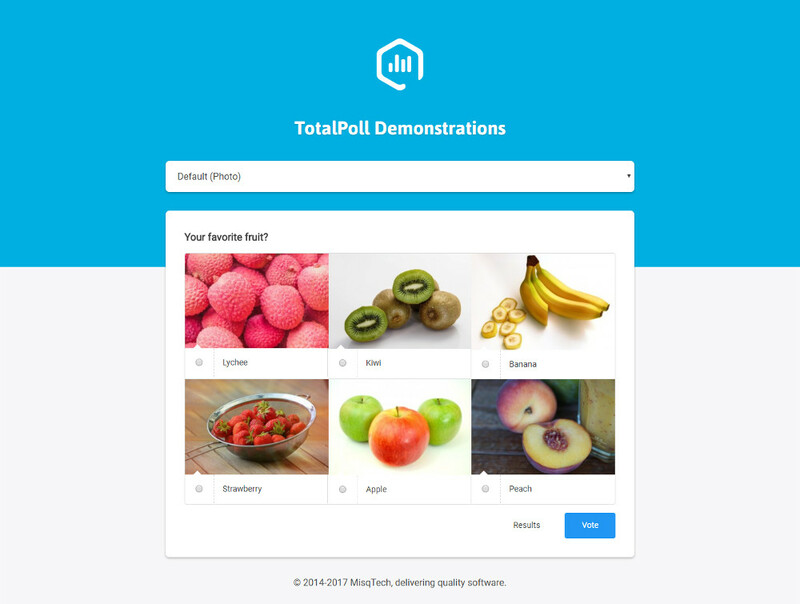 With a multitude of features packed into it, TotalPoll Pro is compatible with all modern browsers, is extensible, and allows a good amount of customization. The free version makes for a good start, but to fully experience the features, you’ll need to pay up $19 for the more popular premium version. It supports a number of vote forms, such as text, shortcode, HTML, or media-based options like photos, audios, and videos. 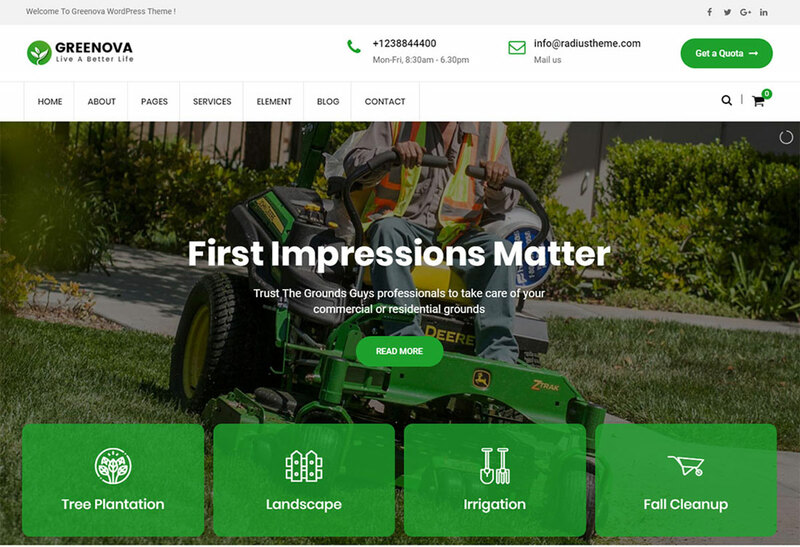 Five customization settings enable you to welcome and thank your participants, and five different field types help you collect additional information. Track back every vote right up to the IP details, and keep track of the stats as well. It allows you to conditionally permit users to vote and to view results based on cookies, IP, user role, date and time, quota, and more. A blind poll where participants have to vote before seeing the results can be set up. You can integrate a poll anywhere with a widget, a shortcode, or a direct link. 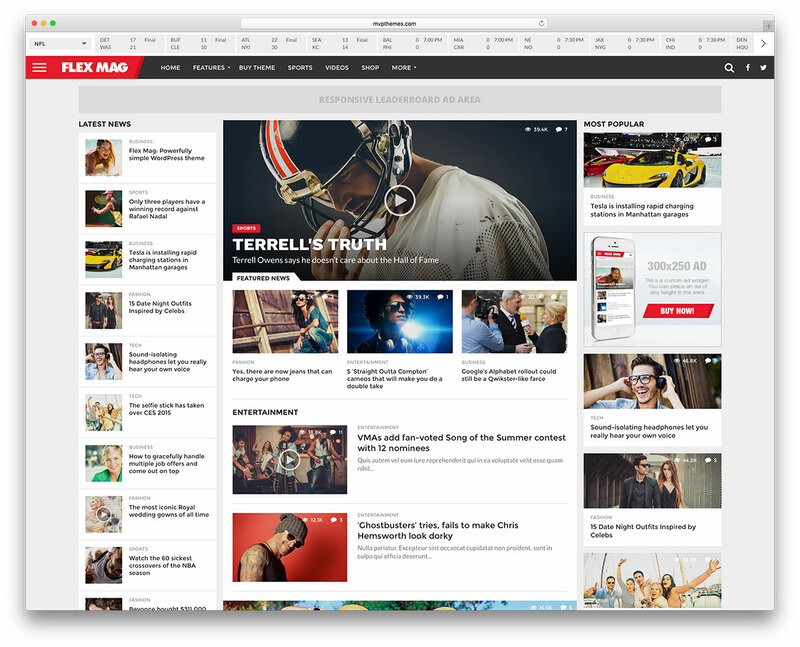 Many customized templates are available as well as many extensions. The polls are portable, meaning that you can import or export any poll with built-in WordPress tools. The plugin is responsive, developer-friendly, and SEO-friendly as the polls can be picked up in a Google search. A Bootstrap-based plugin, Responsive Poll allows multiple votes on a single page and total customization. You can use seven different chart types, such as pie, bar, doughnut, radar, polar, like, and Bootstrap progress bars, with different animations to display results. From a powerful admin area, all the poll results can be viewed and can be either displayed to or hidden from visitors. You can also set the results to display after a person has voted. Duplicate voting is cut down almost entirely as it’s possible to track a user by ID, by IP, or even with the help of cookies in the browser. 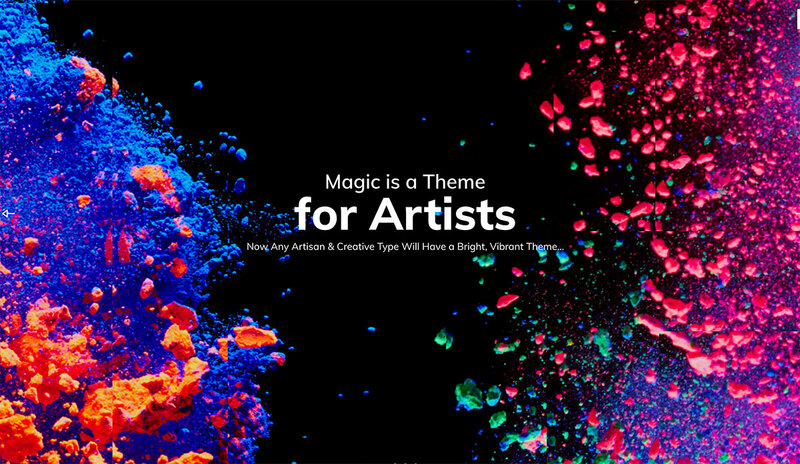 The plugin uses the HTML5 canvas element and supports all modern browsers. WP Foto Vote is the plugin you want to use to conduct user-generated photo contests. It allows you to add photo contests, video contests, or even Instagram contests directly from your WordPress dashboard. Once you install this plugin, users can submit content from the front-end, and others can vote on the content. You can choose the order of appearance of the photos and manage everything from the back-end. Some of the features require premium add-ons. Shortcodes will help you display the poll wherever you like. You can conduct as many competitions at a time as you like. 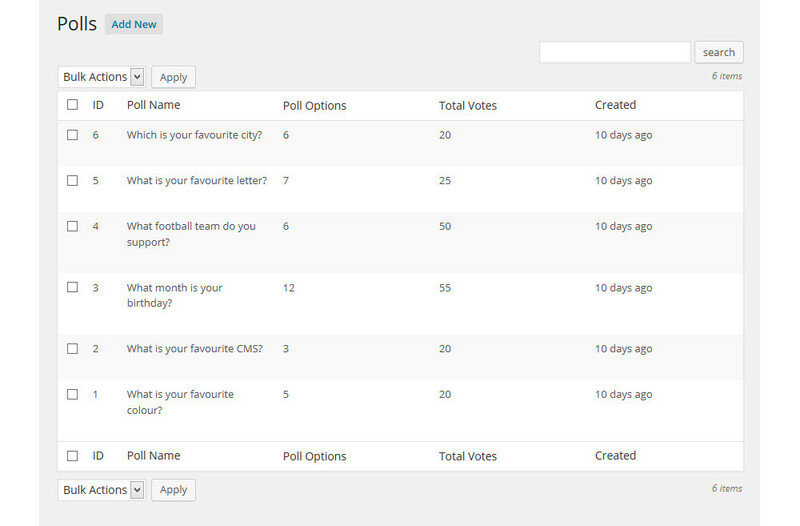 At the same time, you can select from a number of styles or you can opt to totally customize the poll. A drag-and-drop builder can be used to build your own form. All the emails that you receive on your site can be exported to email marketing platforms like MailChimp. There’s support for multiple languages and protection against fraud. Login using social profiles is possible on account of integration with social platforms. The plugin generally helps to boost social activity on your site as well. Sharkha is a terrific WordPress voting plugin that includes bot share and view counts. The inclusion of this tool to your website means more user engagement and more interaction with the content. Also, if they share it on their social media, this also means additional exposure and more traffic to your website or blog. There sure are many goodies that Sharkha brings to the table, making sure you elevate your web presence and make it even more exciting. With the voting system, Sharkha allows you to kick off a social voting website without the need to hire someone to do it for you. For instance, you can enable voting only for your logged-in users. Also, you can place the voting feature to your pages with a simple shortcode. Sharkha supports ten social icons, five different styles and does not limit you with the location; you can place it anywhere. If you would truly like to get creative with your voting on your website, Reactions WordPress Plugin is one cool solution for you. As the name suggests, Reactions WordPress Plugin adds different reaction buttons to the content which makes it even more engaging compared to a classic vote button. Besides, Reactions WordPress Plugin is also fully compatible with BuddyPress plugin. That said, you can now add reactions for user activities, comments, profiles and more. Along with BuddyPress, you can also add reactions to posts, pages, comments, archives and more. With Reactions WordPress Plugin, you can easily enable or disable reactions for your members or guests. What Reactions WordPress Plugin also does, it can show content based on the most votes, by calculating one or all types of reactions. You can also append it to specific roles only. Moreover, the plugin is fully modifiable, letting you create your own take on reactions that best resonate with your online presence. WPeddit plugin will add an up-and-down Reddit style rating system to your posts. It works with almost any WordPress theme and uses an algorithm to select the top posts on your blog. It’s a great plugin to assess your readers’ reaction to posts and to find out the type of content that they like. Voting is secure with member ID and IP address screening. The top post can be displayed in a widget area. You can set the plugin to rank comments as well so that the more popular comments are carried to the top, and you can award points for voting using a premium add-on. This post lists a number of free and premium plugins to persuade readers to leave a rating on your page or post. A review is becoming increasingly important for websites as it can persuade more visitors to interact with the site. If we have left out your favorite plugin, do let us know in the Comments below. Thanks for mentioning the Multi Rating plugin! Have a great day. Hey mate, I was just looking for a clean design just like new Instagram poll feature. Can you help me figure out the best option for that?